Time to wrap things up on Dr Who! First thing for this update is to clean up the two ramps, so I’ll start with the smaller one. The ramp has protection at its entrance which has prevented any damage over the years. 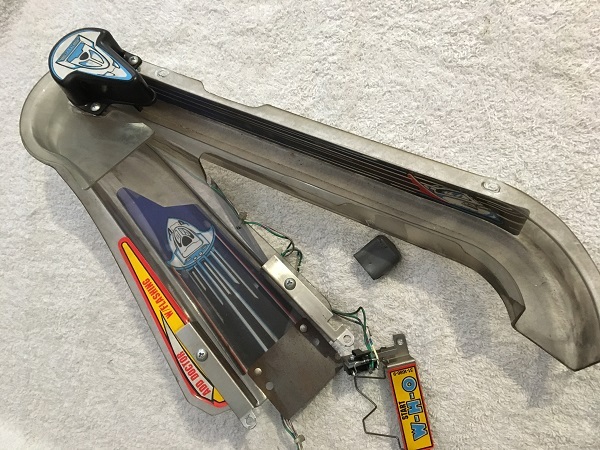 The decals are pealing a bit along the side, but the ramp is otherwise in great condition (if you look past the filth). 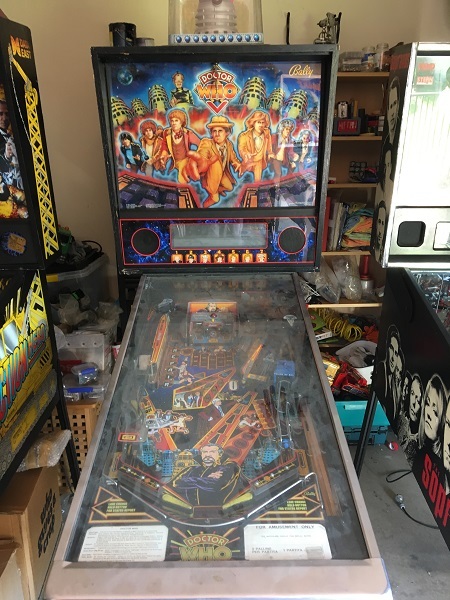 With Funhouse completed and back to the owner, I was able to enjoy the vacant space it left for a matter of minutes before it was filled with the next machine on the list. The next game to receive a rebuild is a Dr Who. 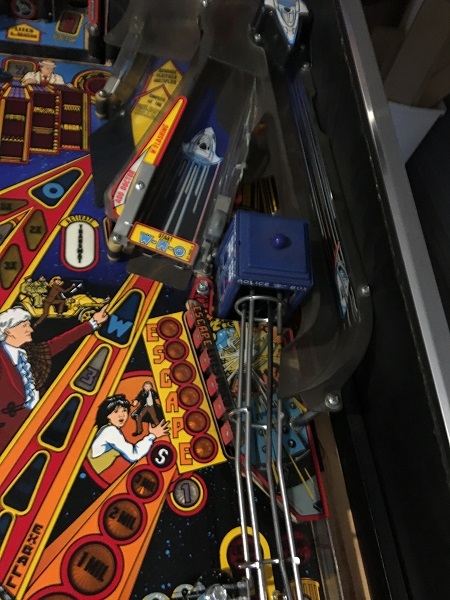 Released by Bally in 1992, with over 7700 machines built – it’s a great theme and a really fun game to play. In its current state, the game is basically unplayable due to a few issues which I’d like to get sorted first. Overall condition (once you see past the dust) is actually really nice. 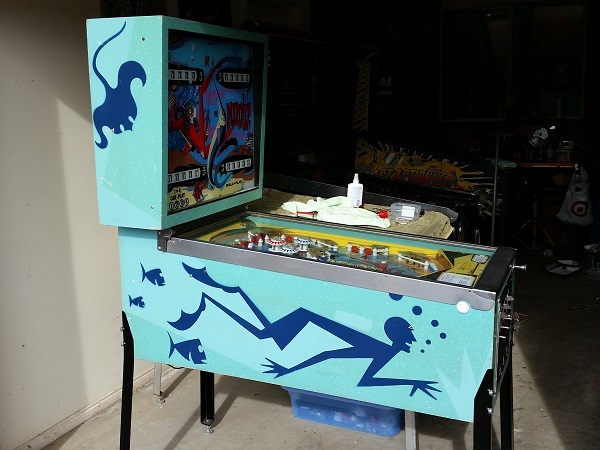 Cabinet is solid (some fade, but minimal damage) and the playfield is really decent. It’s going to clean up nicely and I’m excited to test it once complete! I’m reluctantly putting my Mariner up for sale. A 4 player EM made by Bally in late 1971. The machine has been fully serviced (link included below to my repair/service thread). The game is in full working condition and has been set to free play. I’ve included photos below and more can be found in my service thread. I can also provide more if required, just ask. 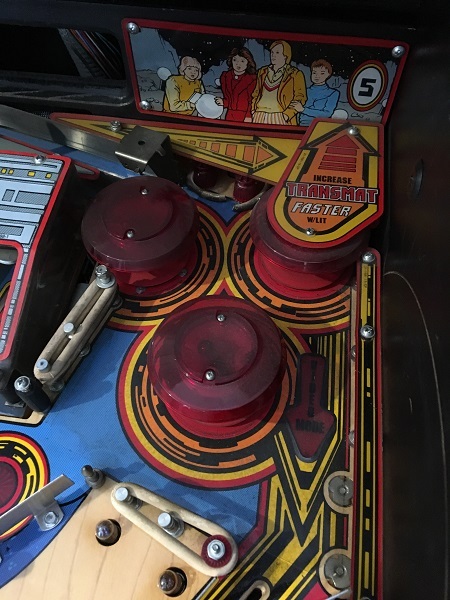 Included in the sale is a copy of the schematics, purchased from Pinball resource. Inspection is certainly welcomed. The game is located in Berwick, Victoria.